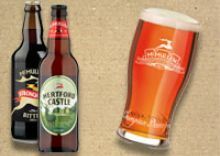 Hertford’s Brewery has been run by the McMullen family since Peter McMullen established it in 1827. The Whole Hop Brewery can be found at 26 Old Cross and has been designed by our Head Brewer, Chris Evans, to ensure we consistently produce ales that meet stringent high standards that reassure cask ale connoisseurs, including our own regulars. In a modern, clean and efficient brewhouse, Chris has precise control over temperature, clarity, colour, taste and the time taken during each process. Nothing can be done to replace his skill and care, but everything is done, from the brewery to the beer engine, to make sure that the cask ale you drink is the beer that Chris intended, every time. In the 1790s William McMullen emigrated from Ireland and settled in Hertford to run a nursery in St Andrew Street. Together with his wife, Sarah Odwell, they raised two daughters and eight sons, the fourth of which was Peter McMullen – our founder. Peter was a wayward teenager who, in 1817, was discharged from his apprenticeship as a cooper to William Good of Royston for ‘neglect of duty and bad behaviour’. Nonetheless, shortly before his 22nd birthday, Peter married Sarah Manning in 1819 and her influence, together with a subsequent responsibility for nine children, encouraged Peter to settle down. In 1830 the Beerhouse Act was passed which allowed any householder to sell beer after paying two guineas to the local magistrate and Peter took advantage of this legislative change to legitimise his private brewing from a residence in Back Street. In 1826 Peter had bought a 50 year lease on a building known as Bridge House on Millbridge and by 1832 moved his brewing operation to this venue and named it the William IV Brewery. Records suggest that AK was first produced in 1832 and this former ‘mild’ remains in circulation today. Peter’s elder sons were unable to join the business for various reasons - one even joined Customs and Excise instead - but his fourth and fifth sons, Alexander and Osmond H, followed in their father’s footsteps. The business expanded rapidly and the two brothers, trading as P. McMullen & Sons, found that the capacity at the William IV Brewhouse was insufficient. This was addressed by the acquisition of the Cannon Brewery in Ware and the operation of a small brewery in Railway Street, Hertford. By 1891 the two brothers owned over 30 pubs and built the Victorian Brewhouse in Hartham Lane to keep up with demand. Three wells were sunk into the chalk aquifer at a cost of £93.18.8d and this water source remains in use to this day. 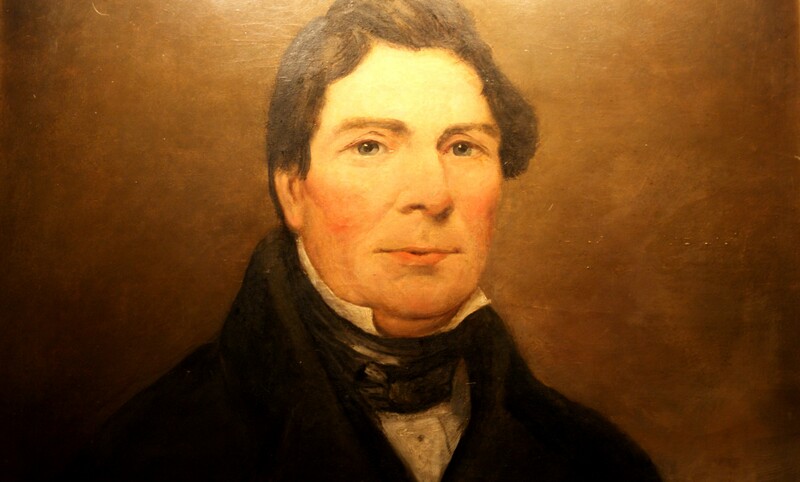 Alexander left the business to concentrate on civil service (becoming Mayor of Hertford thrice) so Osmond H alone continued the expansion of the freehold pub estate in part through the acquisition of other brewing companies such as The Waltham Abbey Brewery and the Epping Brewery. Osmond H’s son, Osmond R, took on the mantle from his father and continued to grow the pub estate of the company (P. McMullen & Sons incorporated as McMullen & Sons, Limited in 1897). In the early 1920s, some 100 years after the founding of the business, Osmond H acquired the Baker Hope Brewery in Hertford. This brewery was the last of the original 11 breweries that existed in the town when Peter founded our business and, although brewing has been discontinued here, it remains in the centre of our Hertford site. After WW2 Osmond R returned to England but only to die a year later. Inland Revenue demanded death duties almost equalling the value of the company which was at risk of liquidation or sale. Mindful of the number of employees that relied on the business for their livelihood, Osmond’s son, Peter, fought a court case for over 10 years until a change of law in 1956 ensured that the tax burden was manageable. The company was then free again to grow. 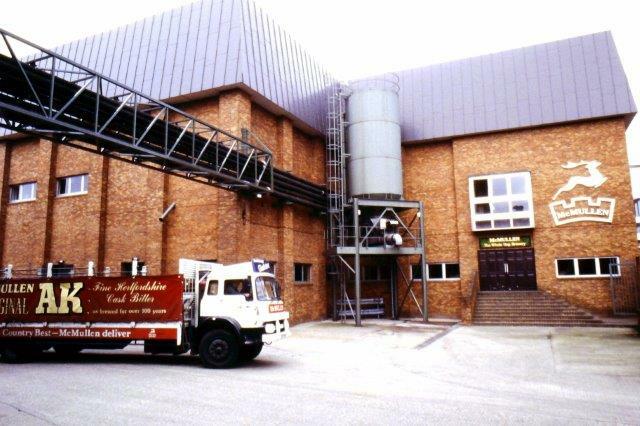 After the drought of 1976, when the supply of beer nearly ran dry, the company expanded its capacity and in 1983 the 1980’s Brewhouse provided the capability to produce lagers such as Steingold and Hartsman. In 2004 the company consolidated its brewing operations into The Whole Hop Brewery as its sole venue for brewing operations. The process was overseen by Peter’s great- great- great- grandson, Fergus, who named the brewhouse in honour of the continued practice of only using whole leaf hop rather than pellets or oils. 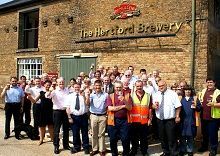 While the ‘Great Wooden Vat of Hertford’ and the mellow copper tuns have been replaced by a modern, precisely controlled system, nothing can replace the skill, care and love that continues to be lavished on our beers. When Peter McMullen founded our business in 1827 there were 11 other breweries in Hertford. The town’s abundance of water, good surrounding land for barley production and prevalence of maltings made brewing a leading industry in the town. However, the malting declined as sea routes opened up East Anglia and the railways provided access to the barley fields of the Midlands. The fate of the multitude of breweries in Hertford has been varied. Wickham Brewery (opposite the site of the William IV Brewhouse was destroyed by a German rocket during WW2 and Nichols Brewery, the last remaining brewery other than McMullens’, was compulsory purchased to make way for Gasgoine Way in the 1960s. Macs (as the McMullen business is informally known), as the last remaining brewer in the town, remains dedicated to ensuring that this great trade remains part of the cultural tapestry of Hertford and is not consigned to the annals of history. It is eternally grateful to all those that have supported the business allowing it to continue brewing through eight recessions and three depressions and meet the tastes of our customers today. Find out about our latest beer creations, learn how to cook with ale and meet the suppliers of our 100% natural beer products. 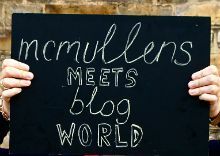 Learn about how Chris Evans, our Head Brewer started his career in brewing and why McMullen is his company of choice. McMullen ale is available bottled as well as in beer boxes of 10 and 20 litres for home delivery. Visit the online shop and order now.